St. Vincent School for Boys is one of those venues where you walk up & it takes your breath away. 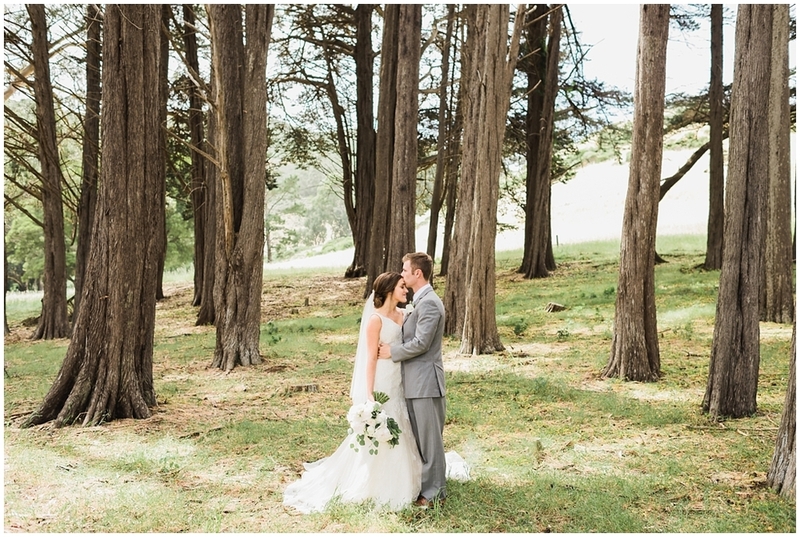 It is placed on one of the most gorgeous, sprawling grounds, surrounded by eucalyptus groves & beautiful Italian-looking pathways & stonework. Chad & I had actually just returned from Italy before this wedding (a trip we took celebrating our 5 year anniversary!) It was wonderful to be reminded of the architecture & masonry that we fell in love with while we were abroad. St. Vincent's also has one of the most beautiful Catholic churches in the East Bay...high, beamed ceilings & incredible, stained glass windows surround you when you enter the church. It's impossible to not be affected by the immediate reverence that washes over you. It's a very special place & we get really excited whenever we get the chance to shoot there! James & Brynna are such a sweet couple. We loved being a part of their day from beginning to end. They have a beautiful love story that's been built over many years & such a great community of friends & family that came together to witness them committing their lives together. We felt like part of the family by the end of the day & that's a huge compliment to the lovely couple & everyone involved! We worked with a great team of vendors: Cinthy with A Touch of Grace / Coordinator - Branching Out Cakes / Wedding Cake - Not Just Flowers / Florals. Thanks to everyone who made this day happen, but thanks most of all to James & Brynn! Thank you for allowing us to be a part of this amazing day - love you guys & cheers to the Daly's!